Lisa C. Goodheart has been inducted as a Fellow of the American College of Trial Lawyers, one of the premier legal associations in North America. The induction ceremony took place on September 29, 2018, at the 2018 Annual Meeting of the College, which was held in New Orleans, Louisiana, and attended by over 1,000 people. Lisa’s litigation practice spans a broad range of complex environmental, energy, land use, real estate, insurance, and business matters. On behalf of private and public sector clients, she has practiced for more than 30 years in state and federal courts at both the trial and appellate levels. 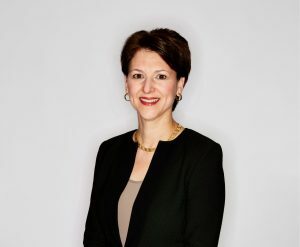 Lisa chairs the Environmental and Energy Law and Real Estate Litigation Practice Groups at Sugarman Rogers, and has been consistently recognized by The Best Lawyers in America, Chambers USA, Who’s Who Legal, and Super Lawyers. She is a past President of the Boston Bar Association and has served in a number of other leadership positions in the legal community. She currently chairs the Massachusetts Court Management Advisory Board, to which she was appointed by the Supreme Judicial Court, and she previously chaired the Massachusetts Judicial Nominating Commission by appointment of Governor Deval Patrick. Lisa is also a Fellow of the American College of Environmental Lawyers. The American College of Trial Lawyers was founded in 1950, and is composed of the best of the trial bar from the United States and Canada. Fellowship in the College is extended by invitation only and only after careful investigation, to those experienced trial lawyers of diverse backgrounds who have mastered the art of advocacy and whose professional careers have been marked by the highest standards of ethical conduct, professionalism, civility, and collegiality. Lawyers must have a minimum of fifteen years trial experience before they can be considered for Fellowship. Membership in the College cannot exceed one percent of the total lawyer population of any state or province, and there are currently only 5,800 members in the United States and Canada.